Over the weekend, I was able to catch Murs for an interview. Now I’ve been checking his music for some time, way back to when he was still with the Living Legends. Matter of fact, those cats stopped in Chapel Hill while on tour back in 2002 and I wanted one of those "Murs Is My Best Friend" T shirts really bad but those joints sold out quick, were sold out online and remain tough to find one to till this day. 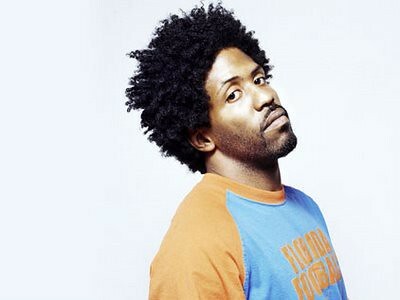 Anyway, fast forward nine years, Murs is still doing it and remains well respected in many circles. I actually struggled a bit to come up with questions for our interview. Since he just dropped his latest album Love & Rockets Volume 1: The Transformation and is in the middle of a 50+ city tour with Ski Beatz, McKenzie Eddy, Tabi Bonney plus more, I knew he’d been going through the media rounds for the past couple of weeks. So my goal was to conduct an interview that highlighted the new album, allow Murs’ fans to learn something new about him, and be engaging while remaining fresh. Check out our chat below (you can also listen to it after the jump) where we talk about running, Dame Dash’s business savvy, money, branding "Hip Hop & Love", unbiased journalism, the North Carolina production sound, plus more! Nanci O: Coming up with questions for you, it really challenged me. So I’m looking forward to interviewing you today. Nanci O: Thank you for your time today, I really appreciate it. You’re in the middle of a 50+ city tour. Where are you guys at right now, at this very moment? Is it your first time in Pittsburgh? No no, I’ve been here a few times. So you’ve been there a few times, and have toured constantly over the years, even with the Living Legends. I remember when you guys came to Chapel Hill back in 2002. How do you keep your energy levels high, show after show? Because you run around a lot. Sometimes don’t use a hype man; you’re running around plus rolling around on the stage. I don’t drink, I don’t smoke, I don’t eat meat. And when I’m out on the road I try to run two to four miles every day. Every day. Sometimes I take a break on Sundays, and sometimes on the road I can’t run. So do you run on a treadmill or do you prefer running on a track or road (i.e. pavement). I actually prefer the treadmill, but it’s not always the most convenient thing. So I’ll run around the block a couple of times. And I have a two mile course I’ve plotted around my house. Have you ever ran a marathon? *Laughs* No, no that’s 26 miles. That’s a lot for me. Well you could do a 5K. Those are only 2.5 miles. Yeah I could do a 5K, definitely. Or even a 10K. But I don’t know about no marathon. You’re on the road with younger artists such as McKenzie Eddy, Da$h and Tabi Bonney. You, in comparison to them, have been in the game much longer. What do you tell them about longevity and how to make themselves, and their brands, last? The importance of performing. A good performance, and also being kind you know, cordial and friendly to your fans or potential fans, goes a long way. Your latest album Love & Rockets Volume 1: The Transformation, was released on DD172, that’s Dame Dash’s label. When I got the news I thought that was really interesting. Was there any initial hesitation releasing a record on a man’s label who’s money issues have been so well publicized? Naw. I always do my research. And I never trust, I say corporate but it’s also white, mainstream however you want to call it, never trust the media to give you an accurate portrayal of a black person, especially a powerful one. If you start taking their word on the financial status, they’ll tell you Michael Jackson is broke. Which is a damn lie, you know. I did my research, I asked around. The government may have problems, saying that he didn’t pay them. But if you look at Jay-Z, Kanye, everybody he’s fallen out with, they’ve never ever said that he robbed them. You know? One thing you don’t ever hear about Damon Dash is that he took money. When N.W.A. broke up, you heard stories about money. With Death Row, you hear stories about money, you know? Even Cash Money, “they” say that Baby and Slim took money from B.G. and Mannie Fresh, and that’s why they left. Yeah. But you’ve never heard that about Damon Dash, at least I haven’t. He’s really loud and blah blah blah, but when he’s really loud, it’s on behalf of his artists. You can’t really fault the individual like that. But I think that he became a hinderance for certain artists that wanted to make more mainstream moves. Dame Dash is a very strong man, but also a strong black man, which is not welcome by corporate America, still. It’s hard for them to swallow, especially for someone who is as brash and confident and sometimes arrogant as Damon is. Or was. Now I’m doing business with him. What I’ve learned about this business, is that I’ve heard so much about so many people, and then I meet them, it’s not the case. And maybe they treat certain people a certain way and they don’t treat me that way, or maybe the person that I know caught them on a bad day. You never know what’s going on. So I always try to be like, the one thing I’ve learned is to judge people on a case by case, face to face basis. And where I’m at, I check my own, plus people telling me about my ego and about calming down. Yeah, on paper it looks weird now. Also for me, money has never been the issue you know? He has his financial bout with the IRS, I guess. I didn’t really want to get to involved with that. I didn’t need his money. I was more interested in doing business with someone, and get inside experience. You know it’s real interesting? That people always, well not people, the media, always portray Dame Dash [and] his money issues but they never talk about how business savvy he is. And I feel like they never give him enough credit on his business moves. But that’s just me. Yeah. I think people outside of music know. As my understanding, Rachel Roy was an intern at Rocawear and when they were married or whatever, he saw her talent. And he’s partners in Rachel Roy [the clothing brand]. He helped build that into a $35 million dollar something. It’s a crazy amount of money, but like I said money is not important to me when it gets to that level. That’s one of the most successful, quote unquote “urban fashion brands” there is. And he did it with Rocawear, and then when him and Jay parted ways he [Damon Dash] went into fashion, and did it with Rachel Roy. He did it twice. Most people only get to do that once in their life. But no one talks about that. They want to talk about this and something they heard. When I was in New York, I stayed at his house. There was a refrigerator full of food, I was able to record and sleep. He’s able to fly out and check us out on the road, and come to shows. And he’s never asked me for a dollar. You mentioned about how the news media portrays certain people. Are there any news media outlets that you trust and check out on a regular basis? For unbiased journalism? Oh yeah. I definitely watch all of it, I mean I try not to watch Fox. But my motto is I take everything with a grain of salt, when things are not starting to add up. I read the Wall Street Journal when I can, a little bit of USA Today and even now they have the Occupy Wall Street Journal, and I check that out when I can. I try to read from different sources to form my own opinion and investigate on my own, when I can. You said money is not important to you. Did it use to be important to you and run your life? *Laughs* I love, I love, love to make money and I definitely value money. Money was not important to me when choosing to do business with Damon. It was more his principles. He said that we’re going to be partners and taking care of 172, threw out “our “record label. This is, I don’t even know what to call it, more a collective. I’m 50/50 on whatever project I do on DD172. I’m also held accountable. He’s not a manager, he’s not my boss. I call him my boss, but he’s not. We’re partners and slated to put in equal amounts of work, and contribute equal amounts of ideas. That’s not the Damon Dash that they promote in the media. And that’s why I say money’s not important. I was just looking for someone that could teach me more about the business, the money will come. And I was having a good time. He really enjoys the business, and enjoys hanging out with us all and we just enjoy each other’s company. To me that’s invaluable, and like I said the money will come after that. Money is definitely important to me, but I try not to make decisions based on money, because that’s when you’re going wrong. So Dame Dash, will he have, or has he had any involvement in your Paid Dues Festival? No not all. He’s supportive of it. That’s another partnership I have with the people that do Rock The Bells. But I mean who knows, [he may become involved] if he could contribute something to it. We [Dame Dash and Murs] started this brand, the Hip Hop and Love Tour. This will go out every year and it won’t necessarily always have myself on it. We’re going to gather a fan base around this tour, sponsors, a partnership deck. That’s so it can be continued and we will hopefully continue to have a very dope and eclectic show. OK I want to talk about your new album [Love And Rockets, Volume 1]. I’ve been listening to your music for years, even when you were with the Living Legends, and I can definitely hear your growth. But there is one track I wasn’t sure about, “Remember To Forget”. Is it actually about a woman or is it about something else? It’s definitely about a woman. That’s wild, you’re the first person to ask me that. What else could it be about? I was wondering if it was about a city. You’ve moved from LA to Arizona, but Paid Dues is held in LA. [Lyrics] in the song includes “you drove me away”, then “you wanted me back”, and how you were done wrong. So it made me wonder and I was curious about that. It could definitely be seen as both. I think a lot of my girl songs could be about LA, because I love my city just as much as I love [inaudible]. But yeah, some songs could be viewed that way. So why did you forgo doing a fourth album with 9th Wonder and chose to go with Ski Beatz [as producer] instead? Me and 9th, we have a different kind of partnership. And it was just time. We had just done Fornever. I don’t consider the records I do with 9th a solo record. I don’t really have a whole lot of input, because he choses all the beats and I chose what to rap about. It’s like a 50/50 thing and his name is always on it. I always try to make him a part, it’s like a group. So this time I wanted to do a solo record, and try to rebrand with Love And Rockets. And that’s not to say, the next one may or may not be with Ski, but it will definitely be something with Love And Rockets. Well that’s two North Carolina producers that you’ve put in a lot of work with. Is there anything particular about the North Carolina production sound that you really love, that made you chose a 9th Wonder, Ski Beatz over all of the other hundreds of producers in the industry. No. But I think there might be something to it, but I don’t understand it. It’s over my head. Ski was chosen by Dame, it wasn’t really my choice to ask him to produce this record. It just so happened that we wanted to do business together, and Ski does most of the production for everything that comes out of DD172, so I was happy to do it with him. With your album and the title of The Transformation, were there any other takeaways that you wanted listeners to “get” after they listen to the album in full? I just wanted to make sure that, with any extra thing to get away, [it] would be inspiration, motivation, and to go out here and do something positive with themselves and for their community. Are there any last words for the listeners of the show or the readers of the website, that you want people to know that may not have come across in this interview or any other interviews that you have done? I love you, and I hope you have a beautiful day. Thank you so much for your time, I really appreciate it Murs. Thank you Nanci, have a good day. This entry was posted in Interview and tagged Dame Dash, Lo Keys, MURS. Bookmark the permalink.